The Good Shepherd International Foundation is an Italian non profit organization established in 2008 to support the missions of the Good Shepherd Sisters in the developing world. The Foundation is based in Rome and works in partnership with the Good Shepherd Mission Development Corp. in USA and with the Good Shepherd partners in Africa, Asia and Latin America. ■Violence, abuse and exploitation worldwide. ■Cancel the shame of human trafficking, a modern form of slavery. ■Eradicate poverty through a fair and sustainable development. The Elimination of Violence Against Women and Girls is the theme of the Commission on the Status of Women, March 2013 http://www.un.org/womenwatch/daw/csw/57sess.htm ; Urging the implementation of the Social Protection Floor at national level following Recommendation 202 from the International Labour Confernece in June 2012 http://www.ilocarib.org.tt/index.php?option=com_content&view=article&id=1895:new-ilo-recommendation-on-social-protection-floors&catid=117:news-room&Itemid=1035 Following the issue of Human Trafficking through Article 6 of CEDAW, and UNODC http://www.unodc.org/unodc/en/human-trafficking/index.html?ref=menuside and at national level. A lot is happening – There are new hopes, desires for new committments, new concepts as we move forward. 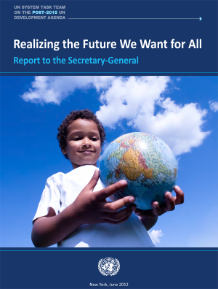 A good document to read is Realizing the future we want for all (1) Report to the Secretary General from the UN System Task Team on the Post 2015 UN Development Agenda. http://www.undp.org/content/undp/en/home/librarypage/poverty-reduction/realizing-the-future-we-want/ A vision for the future that rests on the core values of human rights, equality and sustainability. Four key dimensions of a more holistic approach: (1) inclusive social development; (2) inclusive economic development; (3) environmental sustainability; and (4) peace and security. See a diagram for this on page 24. To involve key stakeholders in its preparation – particularly civil society and women’s groups, policy makers and other experts – UN Women will use a two-week online discussion (23 July – 3 August) on the critical gaps and challenges facing women and girls in the priority area: the elimination and prevention of all forms of violence against women and girls. Within this, the two key areas of focus are primary prevention (stopping violence before it starts) and multisectoral services and responses to victims/survivors. The first week’s discussion (23 – 27 July) will focus on primary prevention. The second week (30 July – 3 August) will be on support services and responses, across sectors. You must REGISTER to take part in the discusison. TO REGISTER, please send an email to csw57.onlinediscussion@unwomen.org with your name, position, the name of your organization, and the country. As Subject, please write: Registering for online discussion. Within one or two days you will receive an email with login and registration instructions. The online discussion will be in English. 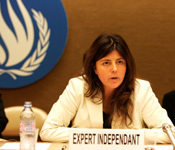 This is an invitation to you to contribute to a consultation that Magdalena Sepulveda Carmona, the Special Rapporteur on Extreme Poverty and Human Right is doing. The topic is ‘THE HUMAN RIGHTS APPROACH TO PARTICIPATION OF PERSONS LIVING IN POVERTY IN DECISIONS THAT AFFECT THEIR LIVES’. The deadline for submission of your contribution is December 14, 2012. The report of the consultation will be presented to the Human Rights Council in June 2013. What are the obstacles that people living in poverty face to their meaningful and effective participation? Have you any ideas about how to increase the participation of people living in poverty? What would be key principles to facilitate participation? Are you working with groups of girls, children, women or communities that are living in poverty? Why not hold discussion groups around meaningful participation – obstacles to participation and how participation can be achieved? Write up the results of the discussion. Have you an already existing good practice facilitating people living in poverty to participate in decision making in your programs? Do you empower people living in poverty to approach local/regional or national government to represent their own issues? Does your government invite people living in poverty to the decision-making table? The text is only in English but it suggest that you use http://translate.google.com/ for an unofficial translation of this message into another language. If you need any help please contact me. 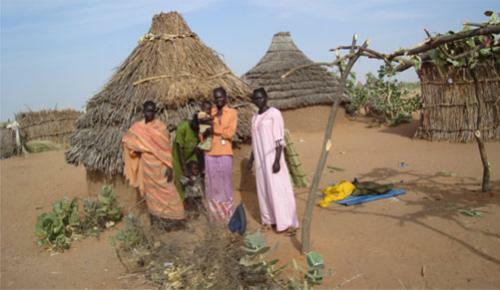 In the Good Shepherd Direction Statement 2009 we stated that we ‘Work zealously with women and children, especially those who are trafficked, forced to migrate and oppressed by abject poverty. We support projects for economic justice, confront unjust systems and take a “corporate stance” when appropriate. In our position paper on Economic Justice we state ‘along with fulfilling the works of mercy by service to those in conditions of poverty, the eradication of poverty is also a moral and ethical responsibility of all. It is imperative to be active in effective advocacy and lobbying strategies to address poverty and to change dominant structures and systems that threaten future generations with the same vulnerabilities.’ What can you do now? Advocate and lobby for the implementation of a rights based social protection floor at local and national level. b) Visiting the website – http://overcomingpoverty.org/article/presentation-of-international-theme-for-october-17-2012 Review what was done in previous years. There is a signature campaign on this website ‘Striving Together to End Poverty, 185,544 signatures from 155 countries are now recorded. Is your name among this number? This is a way to create awareness, inform people of their rights and begin to advocate more earnestly for structural and systemic change.